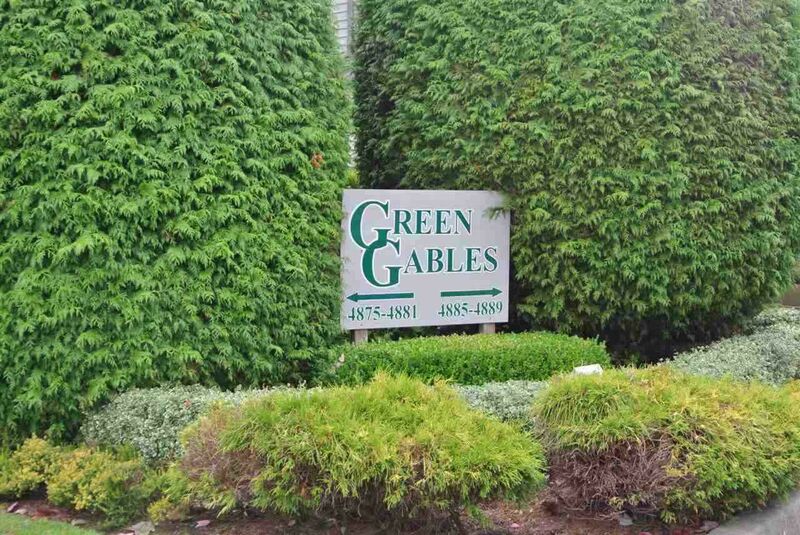 Green Gables! Bright and spacious2 bedroom 2 bathroom unit with a large patio perfect for entertaining. Ideal layout with open concept living room and dining area with gas fireplace, 2 generous sized bedrooms and 2 full bathrooms. Complex is pet friendly, but no rentals allowed. Other features include large storage room outside your front door and 1 covered parking stall. This rainscreened complex will provide peace of mind and years of enjoyment. Centrally located and just steps to shops, school and transit. Can't beat this location!